I thought my wallpaper project would satisfy my jones for patterned walls…but instead it’s intensified it. 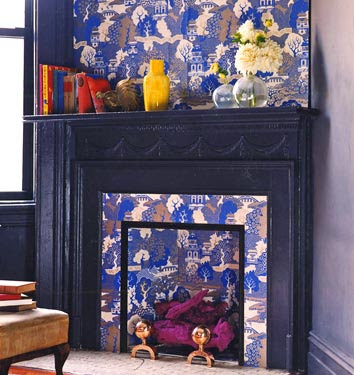 Honestly if I could figure out how to use wallpaper in every single room of my house without feeling like I was living inside a patchwork quilt, I’d do it. 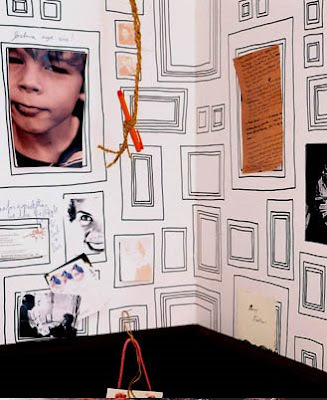 But…he is digging the idea of using this Taylor & Wood’s Frames paper in some fashion in the girlie’s rooms. So for now, the Toile will have to wait, but the Frames paper is officially on the list. am LOVING that top photo! that blue and white look is goooorgeous. BAAAAAA I love wallpaper so much I could marry it too! I can't wait to move into my new place so I can pick out wallpaper... woe, the decisions! I am going to do my laundry room in the frames paper... love all of your selections!! 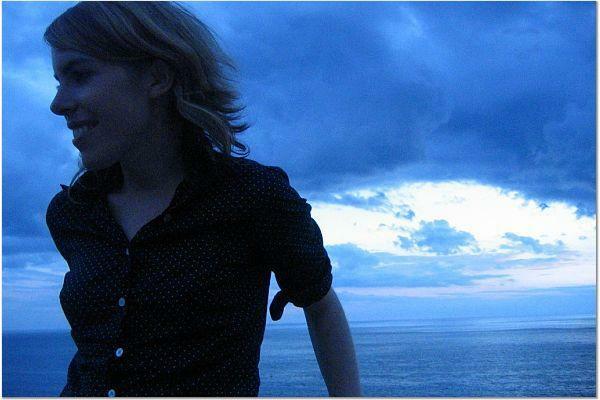 Oh, the blue and white in the first photo is DIVINE! Couldn't agree more about putting the FRAMES paper on the list-- I think this is the perfect paper for a kids room, a playroom, etc. I'm always looking for a way to display my daughter's artwork, and this is ready-made without the expense and trouble of trying to frame every piece. 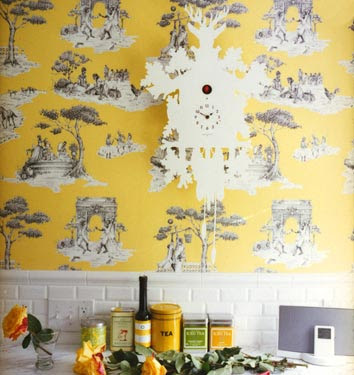 That yellow toile is just so lovely. The frames paper is fabulous!!!! Those wallpapers are amazing-I'm honestly a little jealous. I like wallpaper, but not too much of it. I think it looks great behind a desk....behind a bed and in dining area! The first images is sooo BEAUTIFUL though...having such a huge window really opens up that space.